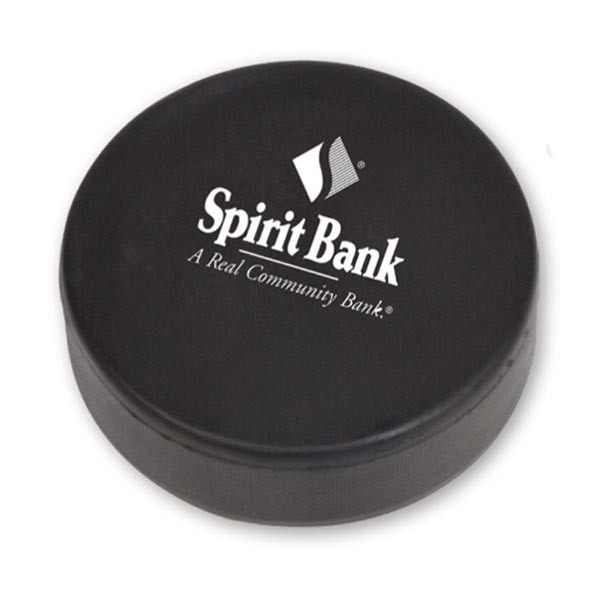 For a classic promotional giveaway that sports fan are sure to love, look no further than this hockey puck stress reliever! Measuring 2 7/8" x 1" and available in black, this handy therapeutic aid is made of polyurethane and is a simple and eye-catching item for your workspace. An ideal giveaway for stadiums, school athletic programs and so much more, it can be customized with an imprint of your brand logo for increased exposure. Size: 2 7/8 " x 1 "